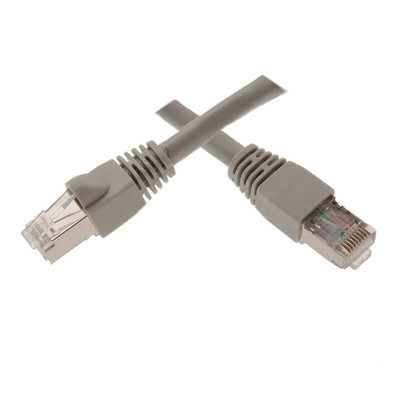 Our high-performance Cat6 gray Ethernet patch cable will exceed your performance expectations in any project that demands a high data transfer speed. This 25-foot shielded cable has a snagless, molded boot, which adds greater protection to the RJ45 connector and clip. The cable's connectors have gold-plated pins that provide for long-lasting connectivity without the chance for corrosion. High-quality 24 AWG stranded bare copper conductors provide for ideal conductivity with low resistance - the 100 percent AL/Mylar shielding reduces or eliminates any electromagnetic interference (EMI) and outside environmental noise that may occur to the detriment of the signal's performance.